Thank you, thank you, thank you everyone!!!!!!!! 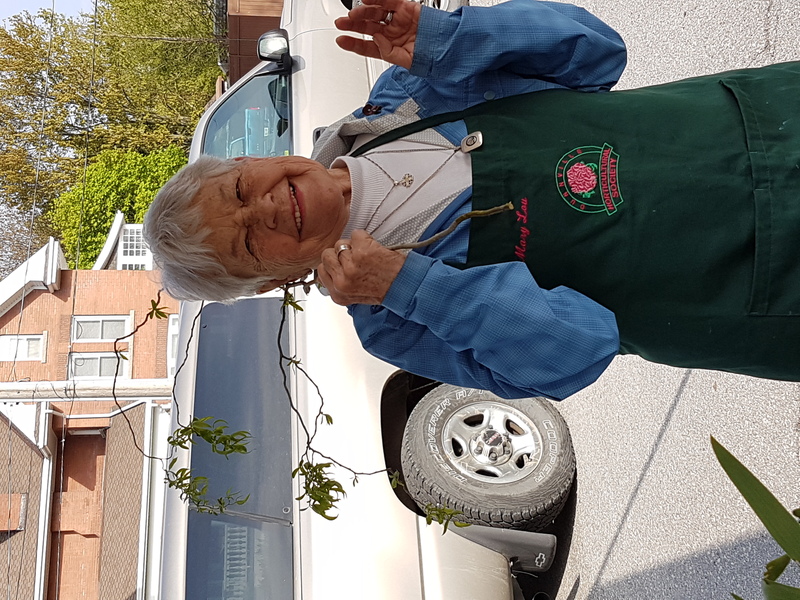 May 27 Planting Day Update! 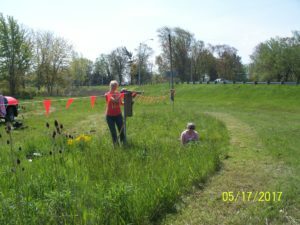 We had the best volunteer turn out ever including 4H and Jr. Gardeners, Cadets, and over 25 dedicated DHS members. Our volunteers finished the flowerbeds (planting over 200 flats of red and white annuals and 80 pots of grasses) …in just over 2 hours. 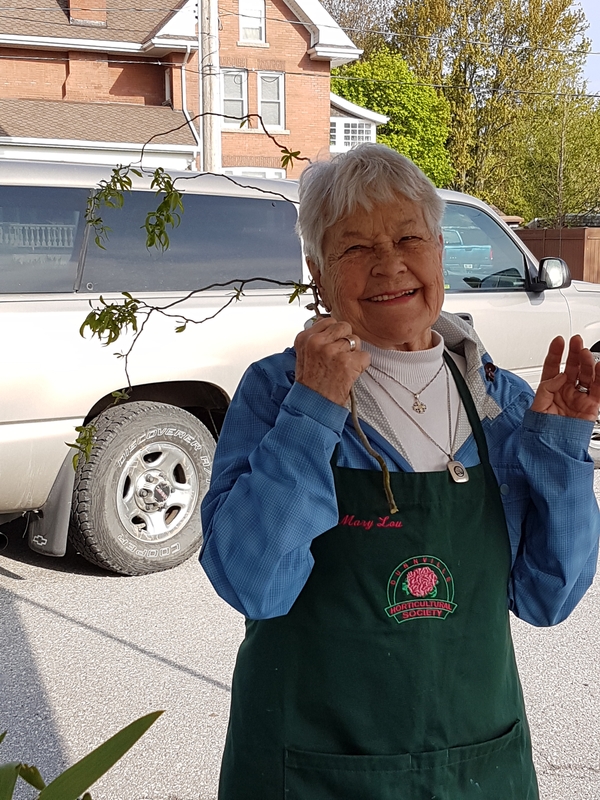 Mother Nature cooperated providing us with moist soil for planting and perfect weather for planting—not too hot for the new plants or for the willing volunteers. 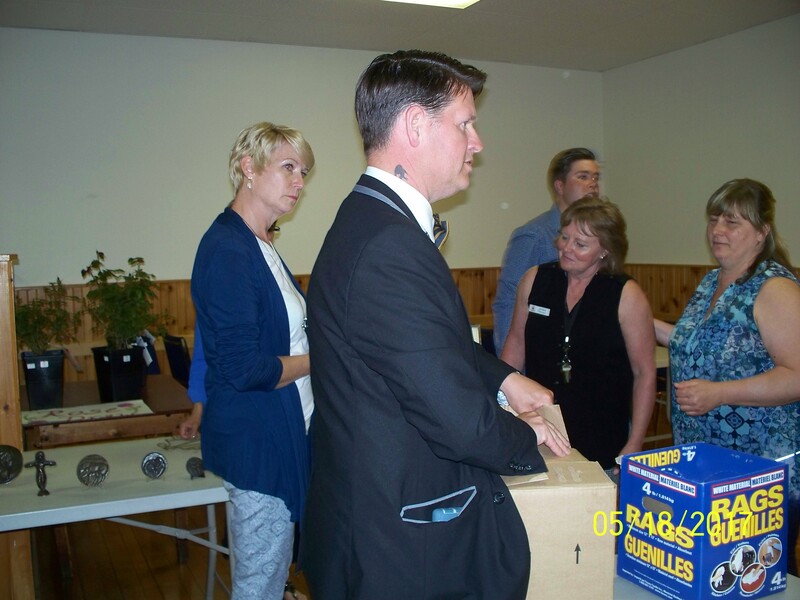 Thanks goes out to Kim C, Rob & Sandi M, and Petra K-D for the use of their trucks and trailers. Thanks also to Konkles Greenhouse for all the generous plant donations. 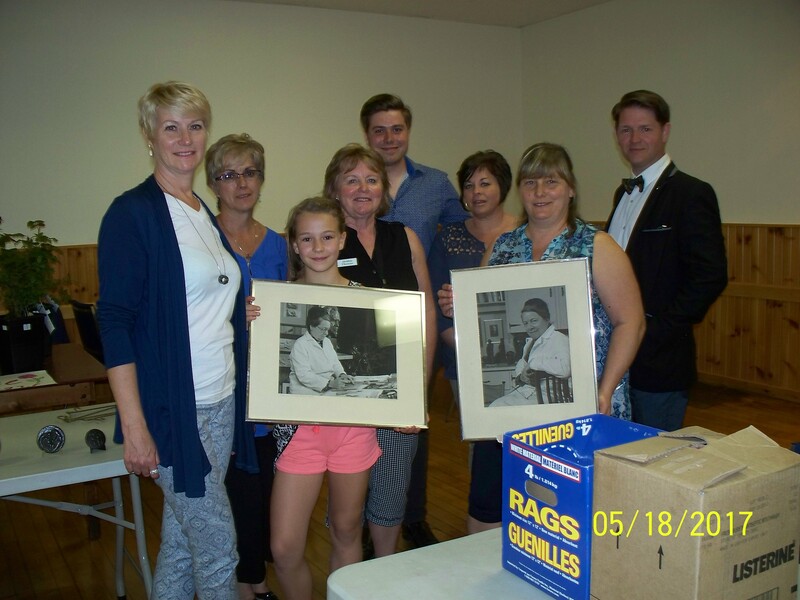 Thanks to Wray and Bev M. for buying coffee and scones for busy volunteers from Flyers. 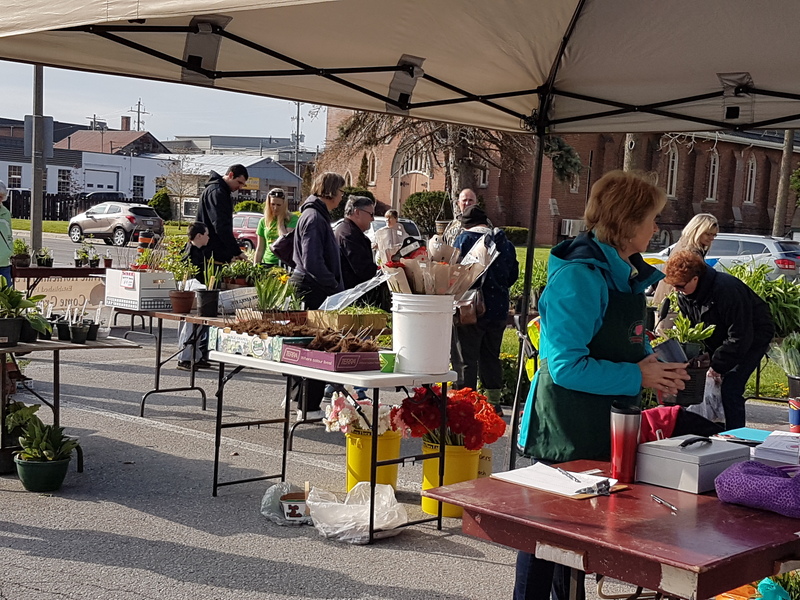 To everyone who came out and planted….thank you! We’ve already received many kudos. The town truly looks amazing. Now all we need is a little sunshine to help make the flowers pop. Inserts for Town Pots will be delivered June 5th just in time for Mudcat festivities. 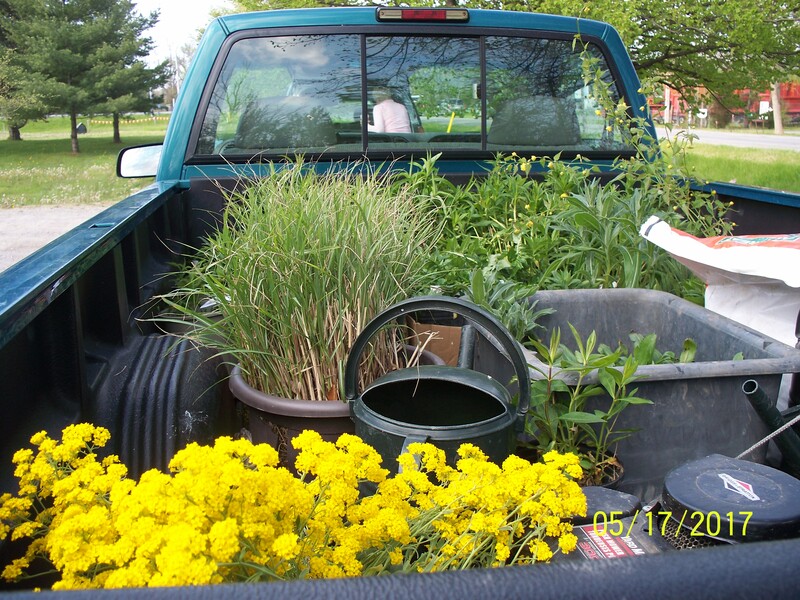 Deb Zynomirski, Bev McLean and Debbie Thomas planted a truck load of perennials consisting of Golden Rod, Black-eyed Susan, Shasta Daisy, Butterfly weed, and Milk weed. 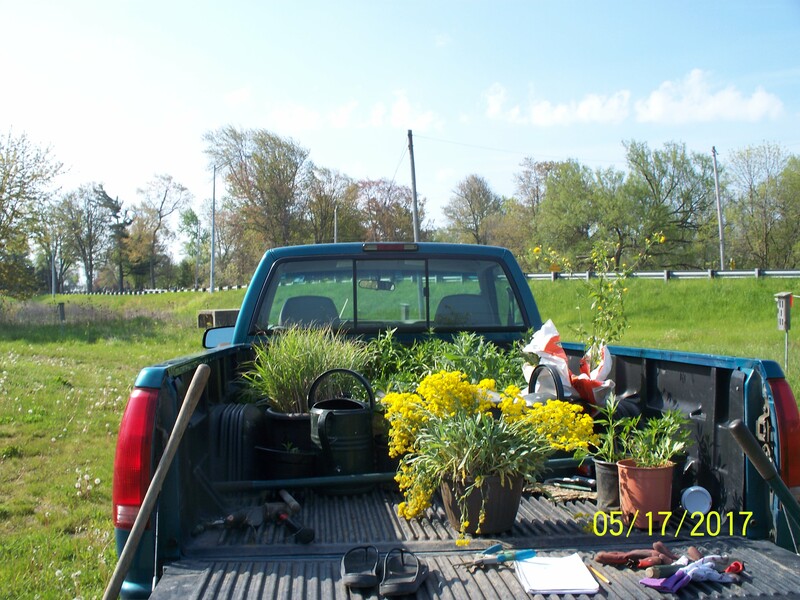 These plantings were placed among established native grasses. Butterfly boxes are awaiting their new guests. You don’t need a lot of space to start a pollinator garden. Even a few containers of flowers can attract hungry bees and butterflies. To plan a pollinator garden, remember the basic needs of wildlife — food, water, shelter, and places to rear young. Good plants for pollinators include: aromatic herbs (coriander, catnip, mint, parsley, lavender), annuals (sunflower, aster, dahlia, marigold, zinnia, cosmos, salvia), and perennials (bee balm, Shasta daisy, iris, coneflower, lobelia, delphinium, lupin, bachelor button). Try to plan a combination that ensures something is blooming at all times during the growing season..
Do not use pesticides and herbicides. Even organic pesticides can be harmful to pollinators as well as pests. 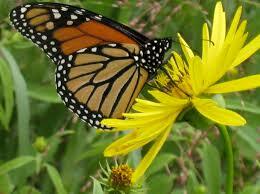 Herbicides may wipe out key plants (weeds) that are important food plants for pollinators. If certain plants are continually plagued with pests, replace them with less susceptible species or varieties. Flowers with bright colours, especially blue, yellow, red, and violet are attractive to pollinators, and during the night, flowers’ fragrances are alluring. It is best to pick plants that are native to your region. 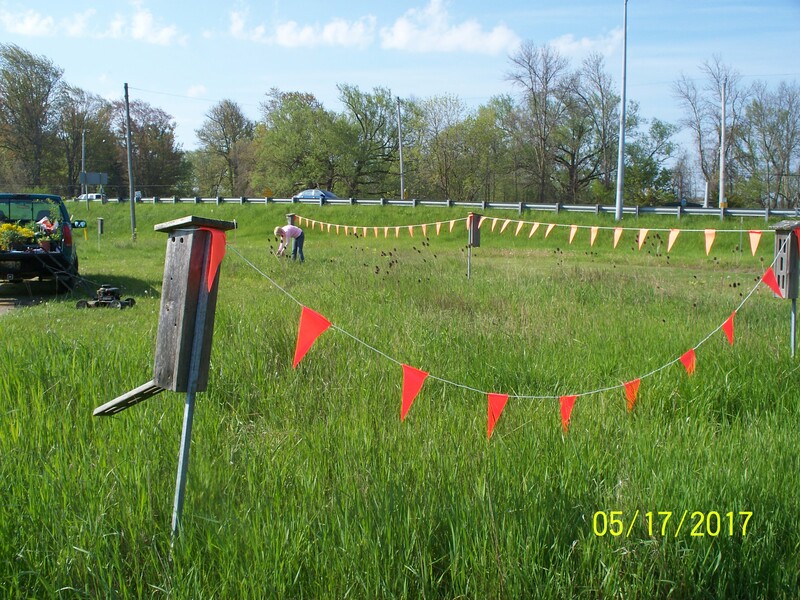 They are more able to provide for pollinator’s needs than are non-native plants. Keep in mind while planning a garden that gardens with a high density of diverse plants are most attractive to pollinators. Creating a pollinator-friendly garden at your home is a fairly simple task to undertake. However, it is an action that has the potential to make a larger impact on the environment, and most importantly, a positive impact in the lives of essential plant pollinators. 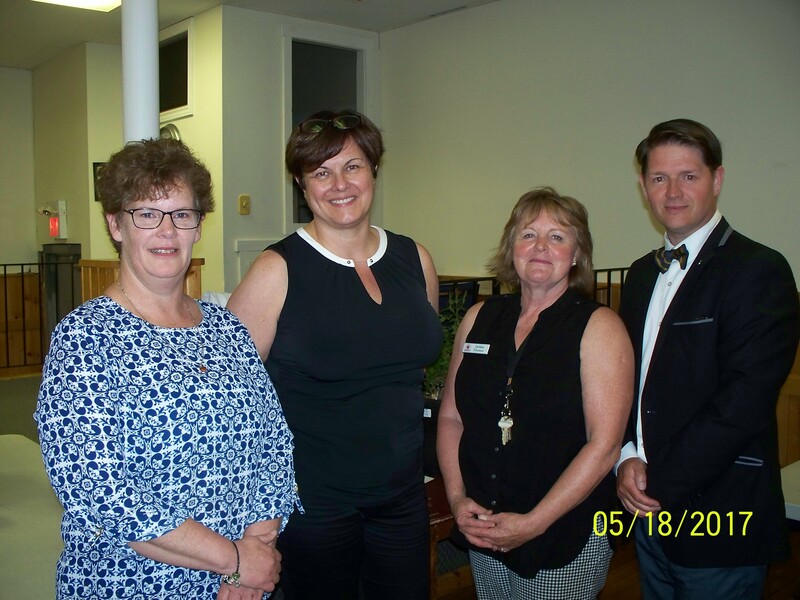 Dunnville Horticultural Society (DHS) will be planting a pollinator garden as its part of our Centennial Park and Fountain Restoration. DHS is very excited about this project and all of its community partners. 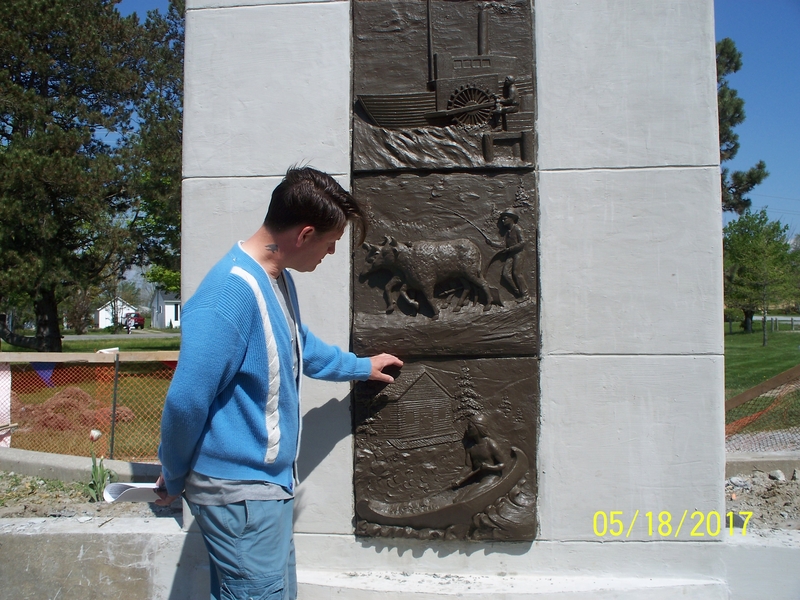 World renowned artist Christian Corbet will be refurbishing the friezes of Centennial Park Fountain, May 10-24. These friezes, created in 1967 by his mentor Dr. Elizabeth Holbrook, have fallen into a state of disrepair. The public will have two rare opportunities to hear Corbet speak. 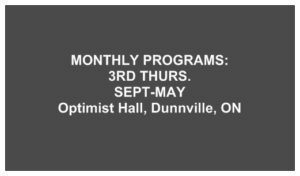 On May 9 at 7pm, the Dunnville Christian School hosts Mr. Corbet; a second presentation will take place at the Optimist Hall on May 18 at 7pm, hosted by DHS. 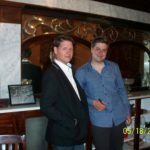 Both presentations are free (by donation). 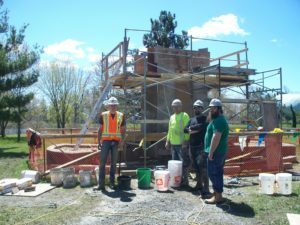 All funds donated go towards the restoration work of the fountain. More information about Christian Corbet can be seen at his website www.christiancorbet.com. Visit Christian Corbet facebook page and Elizabeth Bradford Holbrook Sculpture facebook page. 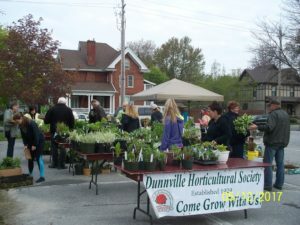 If you have questions or for more information call Debbie Thomas, Dunnvillle Horticulture Society/Garden Club President (905) 774-3064 or Deb Zynomirski, VP (416) 556-9337 or vist our website at www.dunnvillehortandgardenclub.org and follow us on Facebook! 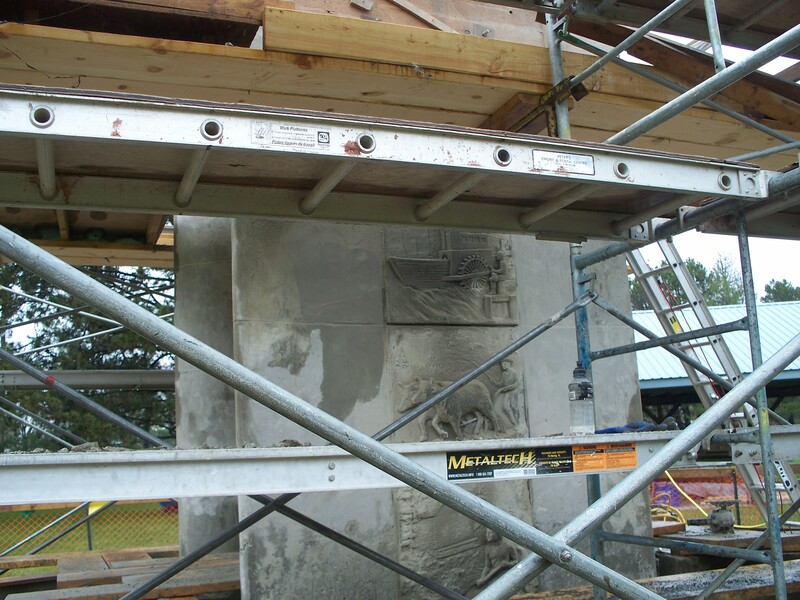 So exciting to see the great progress on our Centennial Park Monument (no longer a fountain). 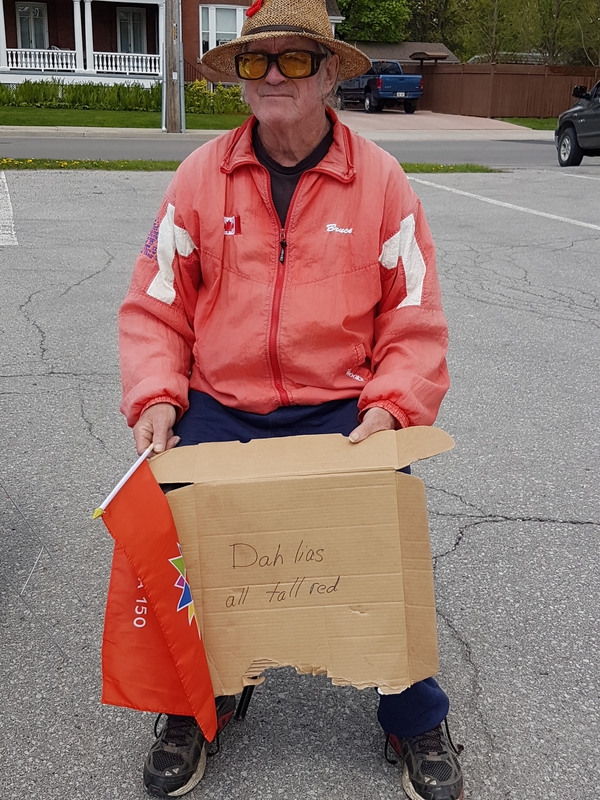 Thanks to Dunnville Silo (Ed Zylstra) for all the hard work. Nice to see the scaffolding coming down already. 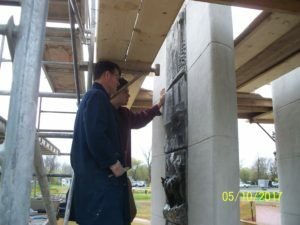 Christian Corbet and Lukas France have been working tirelessly to rehabilitate the historic relief works. You will have a chance to hear from Christian this Thursday night (May18) at 7pm at the Optimist Hall! A rare opportunity! 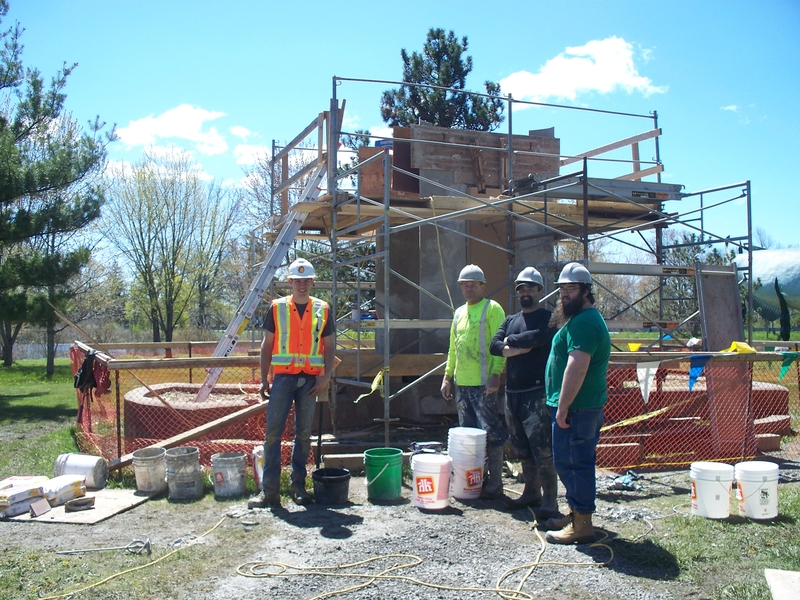 France, in Dunnville to work on the Centennial Park monument restoration. countless changes in our town. always had great civic-minded citizens. the one and only protege of Holbrook. product to look like, however I can say that it surpassed anything I could have imagined. career, he paid dutiful homage to Holbrook, the First Lady of Canadian portraiture. his genuine admiration for her. Holbrook, which Corbet had recently acquired. as Holbrook had done for him. each creature and creation in our world. I can think of nothing better to be remembered for. 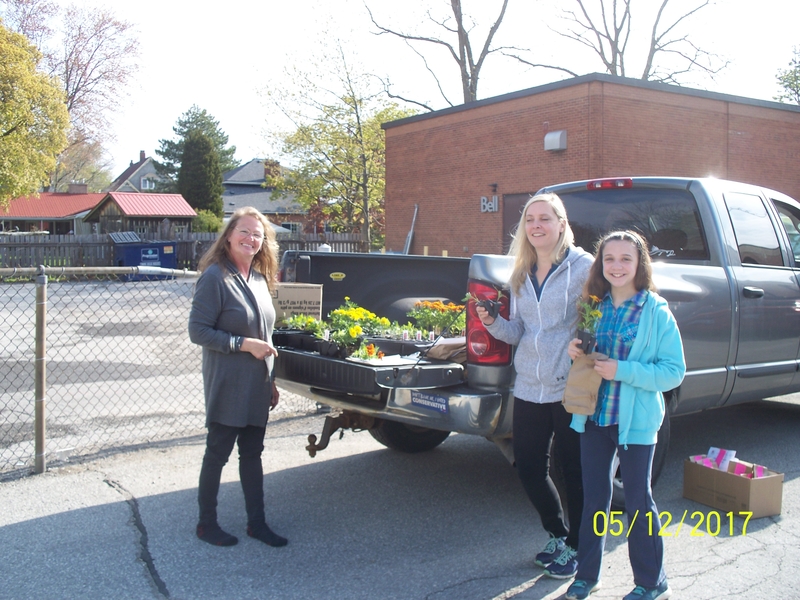 Thanks to all our DHS members and volunteers who donated plants, helped price plants, and sold plants at our Annual Plant Sale. 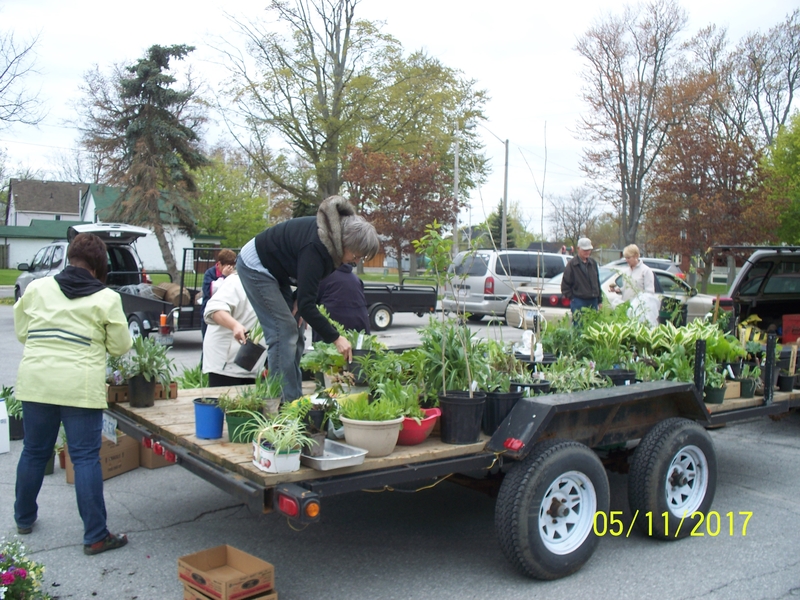 Thanks also to our community supporters who made this year’s Annual DHS Plant Sale a huge success! 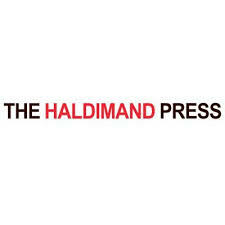 Please see a complete listing of our SPONSORS on our website. Many gardens will be full of beautiful flowers, fruits and delicious veggies. 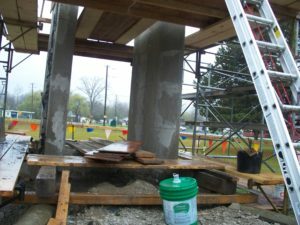 Donations to Centennial Park Monument: $1250!!! Wow!!! A super day all around! So proud of our team…everyone working together made it another fun event! 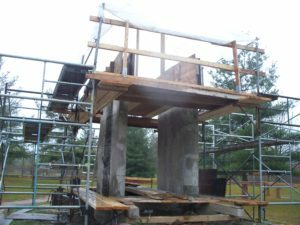 A huge thanks to Ed Zylstra and all the amazing workers at Dunnville Silo Ltd. for their work to create the concrete base/foundation for our restored Centennial Park Monument. Way to go boys! 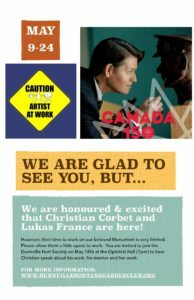 World renowned artist, Christian Corbet along with Lukas France, will be here in Dunnville from May 9-24. 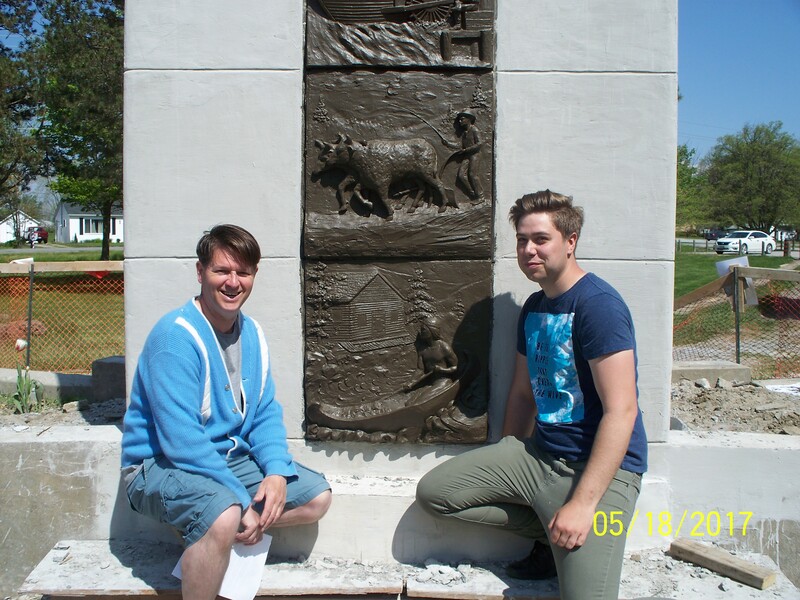 Christian will be at work in Centennial Park refurbishing the friezes originally created by his mentor, Elizabeth Holbrook. We look forward to his contribution in the grand restoration of our Centennial Park and Fountain. 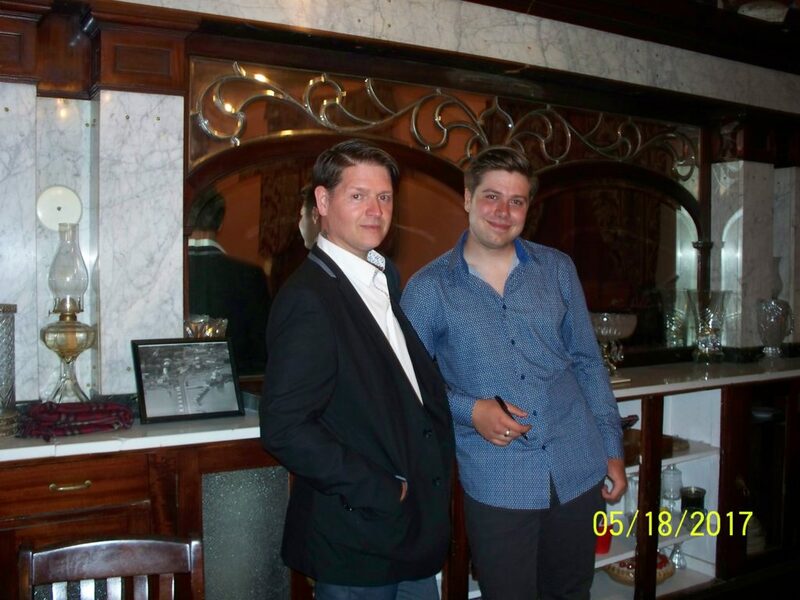 We invite you to follow Christian on Facebook: “Christian Corbet” and share and invite people to “Elizabeth Bradford Holbrook Sculpture” facebook page, as well.